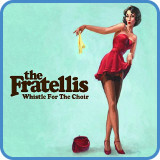 ‘Whistle for the Choir’ is a song off the 2006 album ‘Costello Music’ by British indie/rock band The Fratellis. 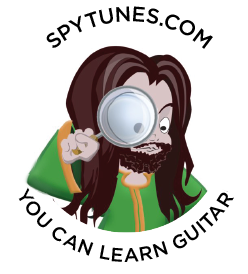 Spy Tunes have recorded a one guitar version of the song in the key of E and A. You’ll learn both versions when you take the course. As the solo section is the same progression as the verse/chorus, after you played the song in two keys, you will actually have played it in four keys. As you played around with all four progressions, could see how the solo is simply the verse/chorus but a tone down? 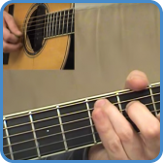 In the full lesson, which you’ll get when you take the intermediate guitar course, we play the song in both keys. Of course, you get full TAB for everything that happens in the video lessons but it doesn’t stop there! We also create a second guitar part and look at what scales you could use when improvising over the chord progression. When changing key we can’t just simply change the chords and play the same parts. 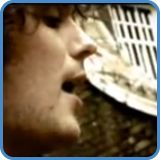 All chords will lend themselves to playing the song in different ways, especially when it’s a one guitar arrangement. For example, if chord I is an E chord, switching the bass between the root and 5th, the 5th will be higher than the root. When in the key of A, the 5th can be placed below the root. 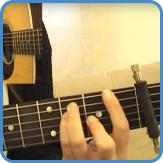 By changing key like this you’ll discover more about a song, its chord progression and what can be done with it. In both versions, the strumming technique of first playing the bass note, then the remaining chord shape is applied. This is a standard, one guitar arrangement technique as you need to incorporate both bass line and chords when playing just one instrument. 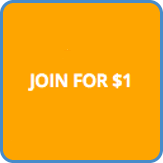 You’ll learn more about arranging for one guitar when you take the intermediate course. For complete lyrics, go to Whistle For The Choir lyrics.